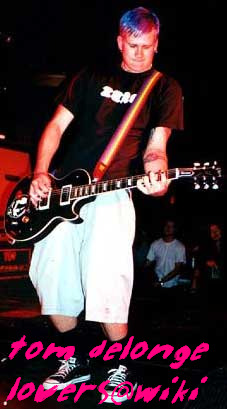 Hey this is my wiki! 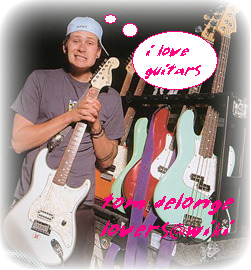 [O Z W A L D™] and is for anyone who loves the blink 182 front man Tom Delonge! i know i do! 2005-12-02 [O Z W A L D™]: lol do u wanna join??? 2005-12-24 [feck orf]: naaah...not wendleydale......BLUE CHHHEEEEEEESE!!!! 2005-12-25 [feck orf]: omg! picture this....big gorgeous lump of cheese.....wearing FLOURESCENT pink boxers!! WOAH!!! 2005-12-26 [O Z W A L D™]: :O u must send it !!! 2006-02-25 [*wonderland*]: I LUK UP TO U TOM DUDE! 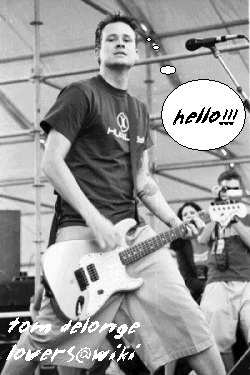 2006-03-20 [yo, its ginn]: Hey I love Tom and Blink-182! Can I join? 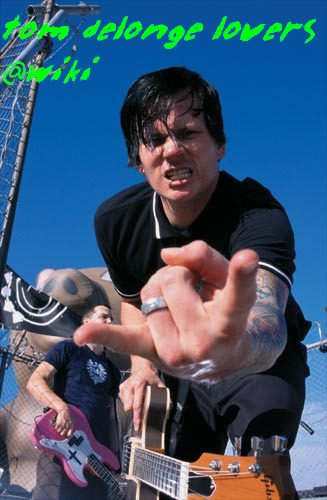 2007-02-03 [Simply J e s a c c a ♥]: oh my goodness...thomas matthew delonge is one of th esexiest men on the planet!!! !1 can i join!!!!????J!KJ#O:! @HUIR please??? 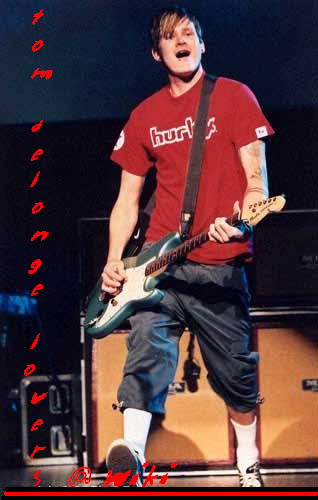 2007-02-03 [Simply J e s a c c a ♥]: oh my goodness...thomas matthew delonge is one of the sexiest men on the planet!!! !1 can i join!!!!????J!KJ#O:! @HUIR please??? 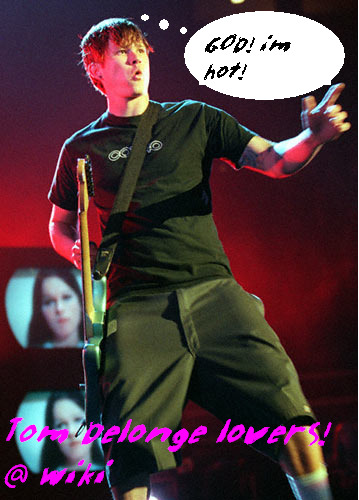 2008-07-17 [Kara Niya]: umm, did you guys know that hes now the lead singer of Angels and Airwaves?